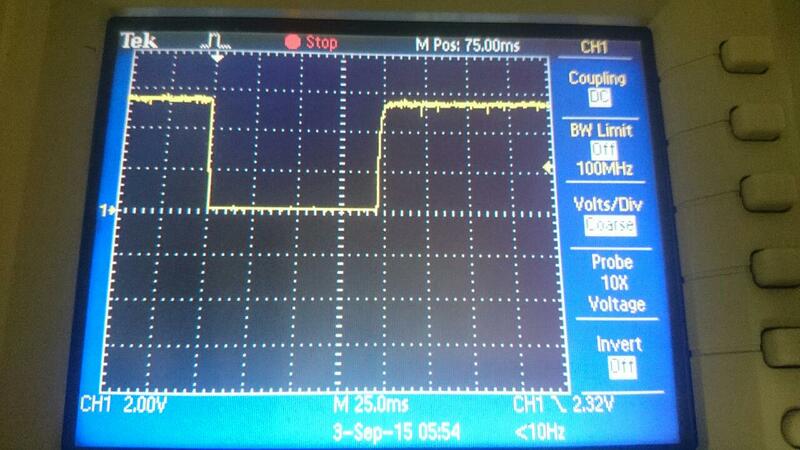 I have a 3 phase prepaid meter at home (model: ACTARIS ACE 9000 ITP). It has a little red LED that blinks at a rate of 1000 impulse per 1 kWh. 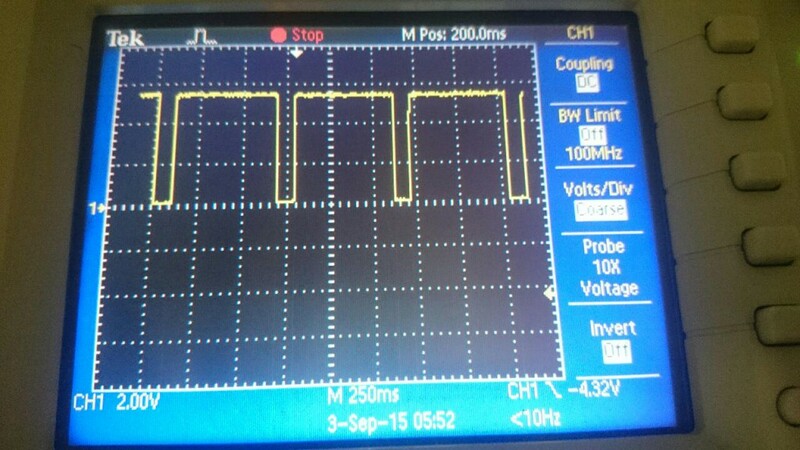 In the first we can see that the pulses are almost 100ms in duration. for this I used a phototransistor (Vishay TEPT4400) that has a good gain in the red part of the light spectrum… with a max spectral sensitivity at around 575nm and matched that with a 100k pull-up!